I was setting auto-enrollment this morning, and the computer certificates were getting issued but not the user ones. 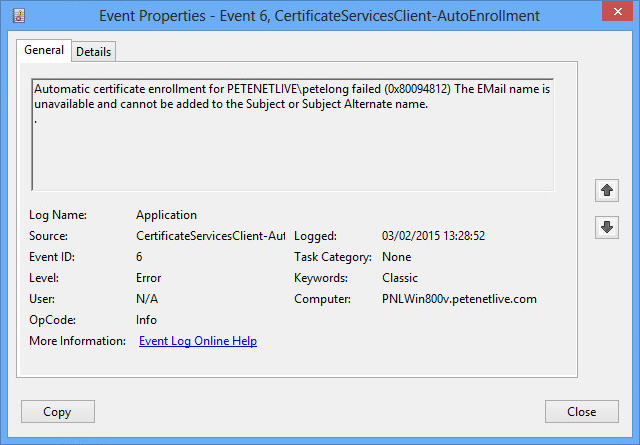 The policies were correct, the registry keys on the clients were correct, even RSOP told me the users ‘should’ be getting certificates. 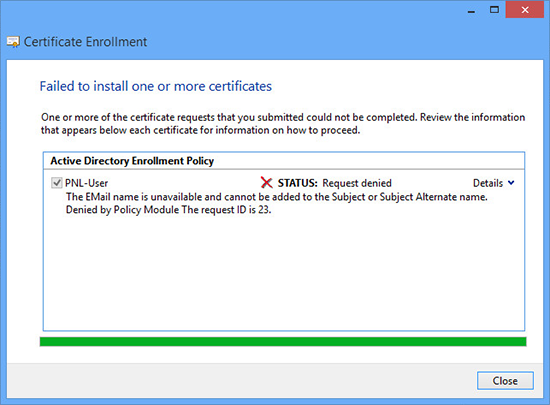 As I could see it was denied, I went and looked in failed requests, sure enough, here was where my auto enrollment had been failing. 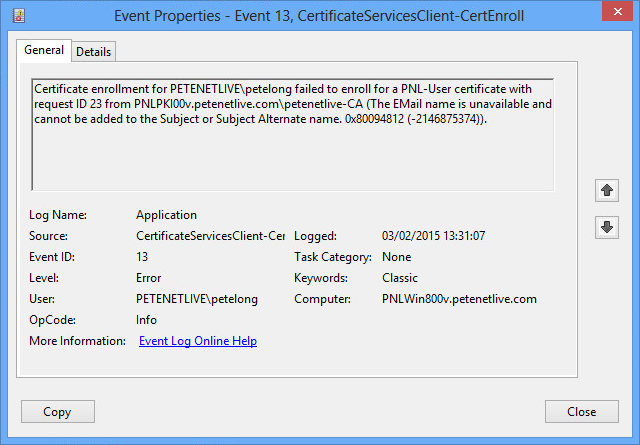 A look in the event log on the Certificate Server also gave me this. 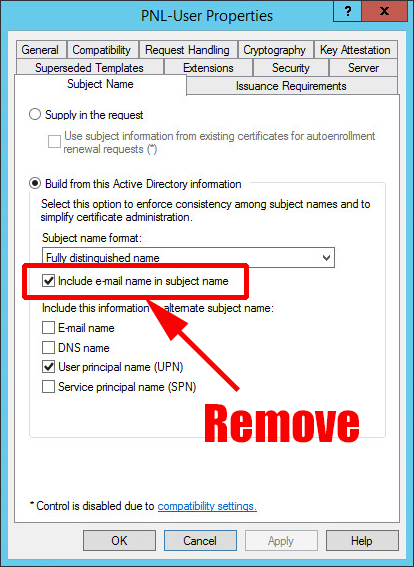 The certificate template I was using needed the following option removing (WARNING: Don’t do this if you are going to use these certs to sign emails – I was not). I also removed the include E-mail name option below. 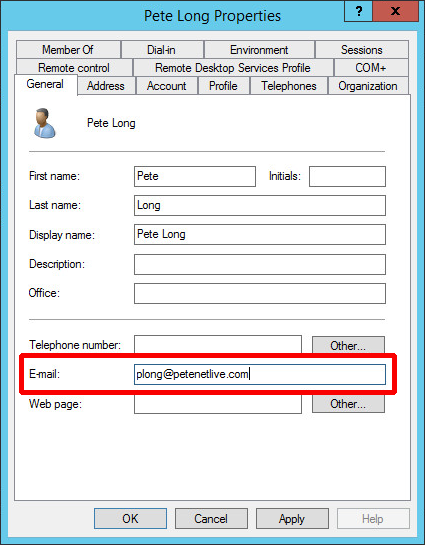 Or (as a quick fix -I was on my test network with one user) I simply gave that user an entry in their Email field in Active Directory.